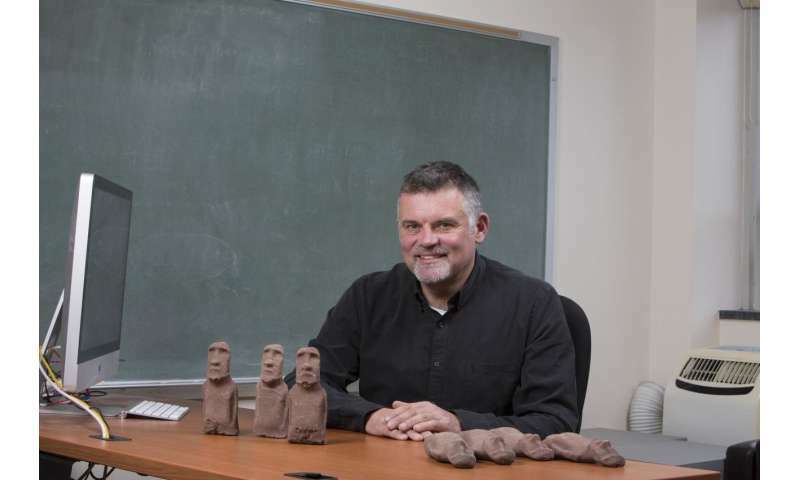 Ancient inhabitants of Rapa Nui (Easter Island) maintained a society of thousands by utilizing coastal groundwater discharge as their main source of "freshwater," according to new research from a team of archaeologists including faculty at Binghamton University, State University at New York. "The porous volcanic soils quickly absorb rain, resulting in a lack of streams and rivers," Lipo said. "Fortunately, water beneath the ground flows downhill and ultimately exits the ground directly at the point at which the porous subterranean rock meets the ocean. When tides are low, this results in the flow of freshwater directly into the sea. Humans can thus take advantage of these sources of freshwater by capturing the water at these points." Lipo said the freshwater mixes with the saltwater slightly, creating what's called brackish water, but not enough for the water to contain harmful levels of salt to human consumers. It does, however, mean that the islanders rarely used salt on their foods, because the water they drank contributed so drastically to their daily salt intake. Lipo's team indicated researchers have often wondered why the island's famous statues are only located in certain places around the island, with a high concentration of them near the coasts. "Now that we know more about the location of freshwater, however, the location of these monuments and other features makes tremendous sense: they are positioned where freshwater is immediately available," Lipo said. He said there are very few sources of freshwater on the island, including two lakes that are perilously difficult to access, no streams, and one spring that is often reduced to a wetland bog. Much of the opposition to the research of Lipo's team is the presence of taheta on the island, which are small, carved-out cisterns used for collecting rainfall. To refute this argument, Lipo's team explained that if collecting rainwater was extremely necessary to island survival, the cisterns would be much larger, instead of being able to hold only between two and four liters of water each. The team's research shows that the little amount of rainfall that Rapa Nui receives (1240 mm/yr), coupled with the basic evaporation rate of water in a climate such as the island's, means that on average, taheta could not be used as viable sources of drinking water 317 days out of the year. This led the researchers to conclude that there must be a different source of drinking water, in order for a population numbering in the thousands to sustain itself. European accounts of first encounters with the island in the 18th century include passages where the natives appear to simply drink seawater. Since the human body cannot process the high salt concentration of seawater, this supports the team's groundwater discharge theory. Lipo said the group's next project is to try to understand how closely the availability of freshwater in certain locations is linked to the methods and means of building the large statues on the island. He is hopeful that this research will benefit both science and the modern world. "This information ultimately sheds light on the conditions that drove and enabled these communities to work together to achieve their feats of engineering," Lipo said. "By gaining knowledge about community scale behavior, we can gain insights into the general conditions necessary for group-level cooperation—whether in the past or in contemporary society." The article, "Coastal Groundwater Discharge and the Ancient Inhabitants of Rapa Nui, (Easter Island) Chile," was published in Hydrogeology Journal. 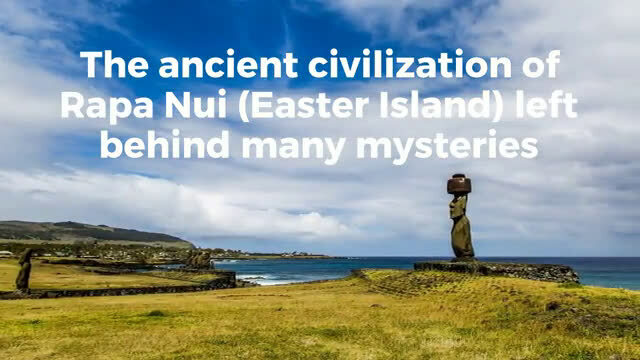 Which makes a person wonder if the climate change that drove the settlement of Easter Island was evidenced in ocean levels that manifested in a higher range of tides.